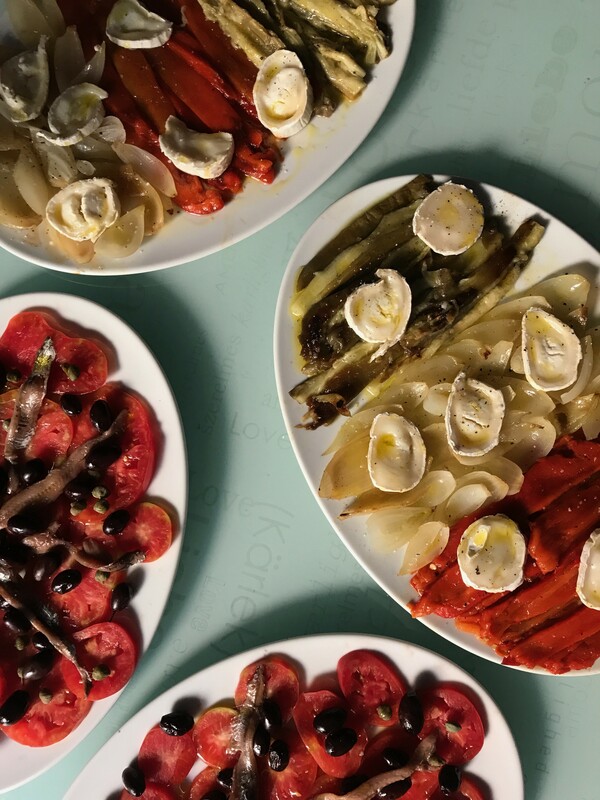 Escalivada, a traditional Catalan dish, from one of Sobremesa's cooking classes in Barcelona. For the past four years, Camila Loew has been catering, teaching cooking classes, and organizing pop-ups with a focus on Spanish cuisine. She started her umbrella company, Sobremesa, after moving from Barcelona to Berkeley. Last year, she added another branch to her company: Sobremesa Culinary Tours. The idea came from her own students. “A lot of times in my classes people were asking, ‘Don’t you want to run trips to Spain?’ It was something I had never really thought of until people said it enough times,” Loew said. After a year of research, she launched in 2017 with tours to Barcelona and San Sebastian — experiments of sorts largely with folks she already knew from Sobremesa. This summer, she’s repeating those trips and adding one in Japan. Given Loew’s professional background, her trip itineraries are definitely for food lovers. They’re full of markets, specialty product tastings, gourmet restaurants, farms, and cooking classes. (No prior culinary experience is required.) On one day in Barcelona, there’s a second breakfast of chocolate con churros. — “It’s like my elected heritage,” she said. Still, she promises experiences that would be difficult or even impossible for a typical tourist to attain, such as a trip to a mountain village that’s not even listed in major guidebooks, where guests will learn how to make miso from the locals.